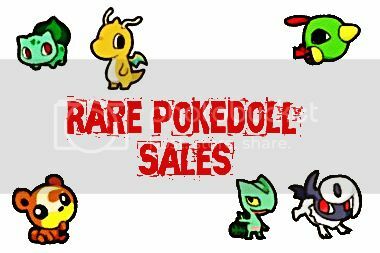 I've decided to bite the bullet and sell a lot of my pokemon collection on eBay for anyone to GA or buy if they want it all. Click the picture or here to be transported to more pictures and the auction. Click the pictures to go to there! so in less than a month I'll be moving from colorado to new york, so in an effort to make funds and lighter moving I'm going to weed some of my stuff outside of my main collections. my camera is pretty bad, so I'll give discriptions on the condition of each item, and if you need more detailed pictures I'll do my best to accomplish that. *shipping will be done day of payment or day after payment (depending on the time of day). *items come from a smoke free, but pet friendly home. *I'm not the best at pricing, so feel free to haggle, but keep in mind that I am trying to get some funds for my move so please be considerate of that. * I ship from the united states and will ship internatinaly. Also, I made a wants post, finally (http://joltzapvire.livejournal.com/7787.html) though I'm sure I won't find a lot of it for a long time XD I had a dream I found my grail last night though and it was magical! Just posting a reminder for the Shiny Entei PokeDoll I have up for sale/best offer! There are a little over 3 days left on the listing! Will accept reasonable offers! Check it out if you're interested! 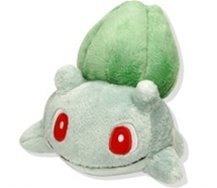 It's been a while since I've posted or commented, but my birthday is coming up and I'd figure there would be nothing cooler than having a bulbasaur pokedoll for my desk in my dorm to add some flavor to what will be an otherwise boring room as a gift for my b-day. I'd prefer one with tags, but also open to the tagless. 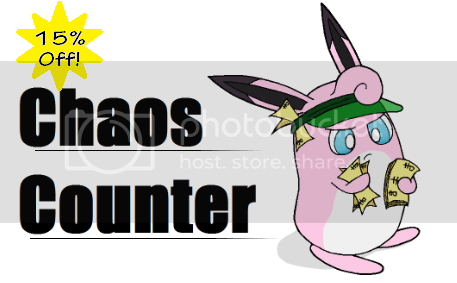 I do know there's a "fluffy" one making the rounds, aswell as a canvas make, but I'm trying to stick to the pokedoll line. So please, anyone that has any leads or offers, throw them my way! Someone please claim the Pryce bookmark! 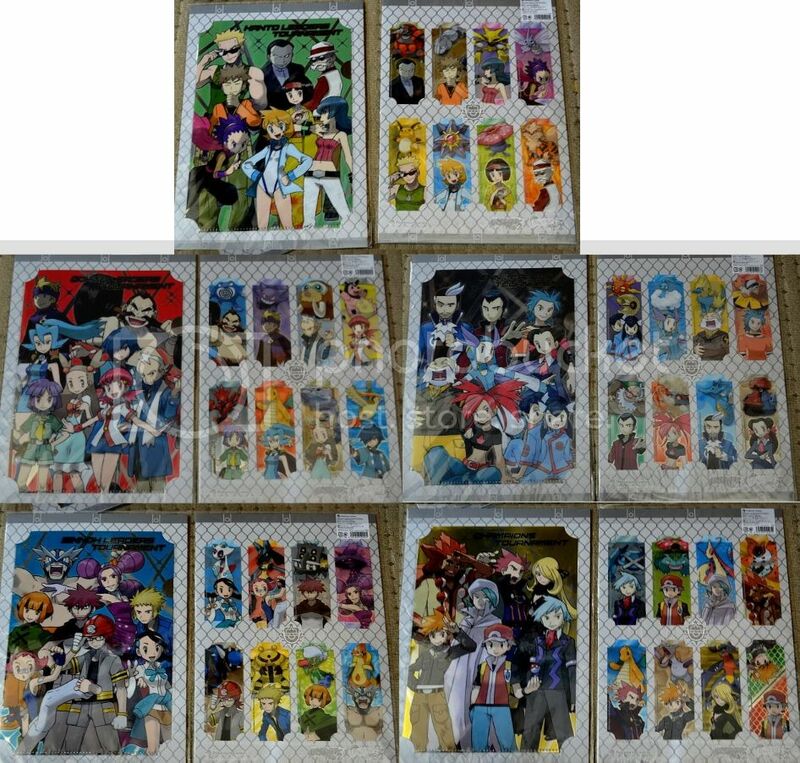 Hi, Im doing a group buy on the bookmark sets and we only need Pryce claimed! Theyre only $2 each before shipping, all details in the post here! Comment to claim! Second Offers Post - Some Plush and a Shirt! Hello again everyone! After the sucess of my first sales post I thought I'd clear out some more plush. Also, dark_tyranitar was checking the MPC schedule for the rest of 2012 and belives he figured out the next and possibly last Namco set "F". I don't know if I agree, what are your thoughts? Hello Everyone! Big update, I finaly got the rotations of the remainder of my Tomy two inch figure collection up! 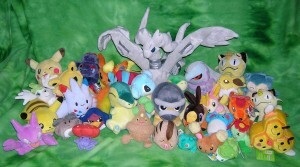 These are Tomy figures of the Pokemon that first appeared in the third, fourth, and fith, sets of games. I have a lot less of these than I do the others so I just combined them all into the same post, but there are still lots! I also have rotation pictures of most of the regular pose figures from the Kanto and Johto sets in separate posts in my journal. Look under the cut for LOTS of images. Hey all! 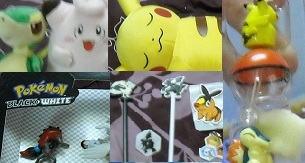 Some irl stuff has come up, so I'd really like to sell some of my Pokedolls. I hope you guys can give them good homes! Most are MWT and I'm open to offers! As usual, my normal sales are here. Thanks, everyone! Hey everyone! Just wanted to let you know that there is less that 24 hours to get in the last bids for this old, cute tin! Just putting out a final reminder for this months 15% off sale in my shop (Ends August 31st) as well as this months customs. There are still slots left for that so go check that out if you're interested. c: And if you're waiting on anything from me I'll be doing a shipping day tomorrow! Finally, expect another update from me soon documenting me recent trip to the city with my travel buddy Alfred! High give if you can guess what Pokemon he is! x3 Anyway, onto the sales and custom links..